Thursday, November 20, 2014 is The Great American Smokeout, a day when smokers nationwide are encouraged to abstain from cigarettes for 24 hours. Millions of Americans are participating, and it’s simple for you to participate, too. All you have to do is not smoke during the 24 hours of the Smokeout. This helps you understand that you can indeed quit smoking for a day—and help you learn that you’re not alone in your quest to stop smoking. 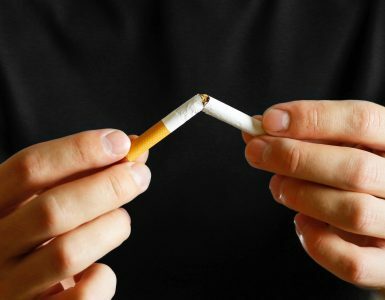 The Great American Smokeout may even help jump-start your efforts to permanently quit smoking—but even if it doesn’t, you’ll at least have experienced quitting for a day. After 20 minutes: Your heart rate and blood pressure drop to normal levels. After 12 hours: The carbon monoxide level in your blood drops to normal. After 2 weeks to 3 months: Your circulation improves and your lung function increases. After 1-9 months: Coughing and shortness of breath decrease. After 1 year: The excess risk of coronary heart disease is half that of a continuing smoker’s. After 5 years: Risk of cancer of the mouth, throat, esophagus, and bladder are cut in half. Cervical cancer risks falls to that of a non-smoker. After 10 years: The risk of dying from lung cancer is about half that of a person who is still smoking. The risk of pancreas and larynx cancer decreases. If you are interested in quitting smoking—whether for a day or permanently–below is a comprehensive list of resources you can use to get started! Mention to your doctor that you’re interested in quitting smoking. Your doctor can provide you with recommendations and resources that can help you quit. Click here for a ton of really cool resources, including a cigarette cost calculator (you may be shocked at how much money you’re spending on cigarettes over time), “desktop helpers” that can help you plan your quit day and deal with cravings, and more. NCI Smoking Quitline at 1–877–44U–QUIT (1–877–448–7848) provides individualized counseling, printed information, and referrals to other sources. http://www.smokefree.gov/ is a Web site created by NCI’s Tobacco Control Research Branch; check out their Step-by-Step Quit Guide. Their website includes a guide to quitting smoking. You can also call the American Cancer Society at 1-800-227-2345. This website features a free, online plan to help you quit smoking. “FDA 101: Smoking Cessation Products” is an article put out by the Food and Drug Administration that discusses the variety of approved products, both over-the-counter and prescription, that can help you quit smoking.